Home local events	Living Locally: I Love Lucy® Live on Stage! Two months ago I attended my first Broadway performance and quickly fell in love with it! I have attended two performances now and am really looking forward to the next show that will be at the Keller Auditorium April 7-12th – “ I LOVE LUCY® LIVE ON STAGE“. I Love Lucy® has been one of my favorite television shows since I was a young kid, so much in fact that I probably drove my mother crazy with all of my re-run watching! Seeing I LOVE LUCY® LIVE ON STAGE will be so much fun and I’m really excited to see how the show is transformed into a stage performance. Here’s more information for you, because I know you’re interested in attending! U.S. Bank Broadway in Portland is pleased to announce the Portland premiere of I LOVE LUCY® LIVE ON STAGE, the brand-new hit stage show adapted from the most beloved program in television history. The national tour will play Keller Auditorium from April 7 – 12, 2015. 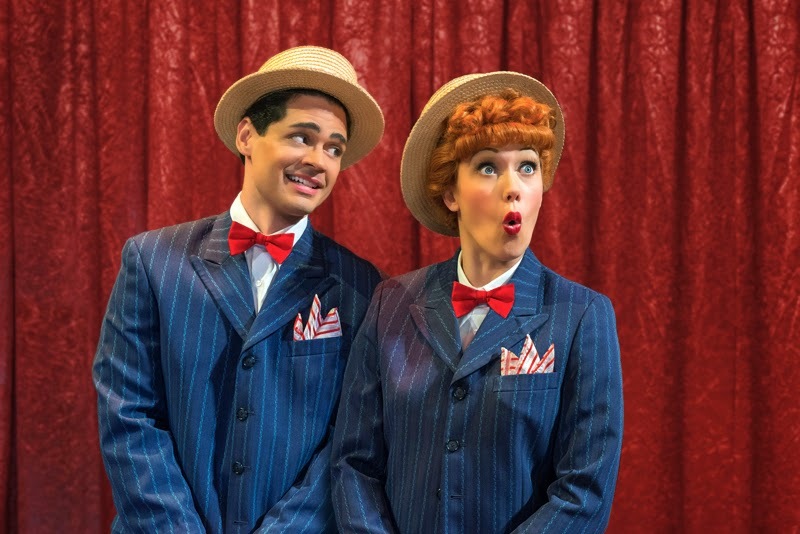 Thea Brooks and Euriamis Losada lead the company as Lucy and Ricky Ricardo, with Kevin Remington and Lori Hammel playing Fred and Ethel Mertz, the Ricardo’s loveable landlords and sidekicks. The cast also includes Sara Jayne Blackmore, Sarah Elizabeth Combs, Gregory Franklin, Jody Madaras, Carlos Martin, Denise Moses, Cindy Sciacca, Kami Seymour, Richard Strimer and Mark Christopher Tracy. I LOVE LUCY® LIVE ON STAGE had its world premiere in Los Angeles at the Greenway Court Theatre from October 2011 – February 2012. A subsequent Chicago production was launched that played two engagements at the Broadway Playhouse, September 2012 – March 2013. The national tour visited cities including Toronto, Boston, Philadelphia, Nashville and Costa Mesa. The show is produced by Stephen Kahn (executive producer), David George (executive producer), Allan Williams (executive producer),Jeff Davis (executive producer), Dede Harris, Sharon Karmizan, Hyra George, Kim Flagg, Barbara Alpert, Sophie and Alan Alpert,Neil Hoffman, Nancy Alpert, Teri Alpert and David Carpenter (associate producer), under license from CBS Consumer Products. What’s Up With Me, Anyways? Looks like fun! Let us know how it turned out!